Our selection of Victoria travel books and Canada travel books can help you plan a trip or a move to Victoria BC Canada. I don't know about you, but I always find it helpful to have reference books when I plan a trip, both for the trip planning end of things, as well as a guide to the actual area I'll be visiting. So, I pulled together this list of travel books I thought you might find beneficial. Some are designed to give you more info about the city of Victoria, while others are more general and designed to save you money getting here. 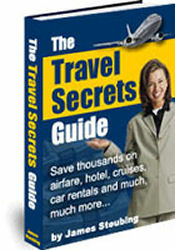 Here is the selection of general travel and travel cost saving books. There's one here on immigrating to Canada too, that you might find helpful if you decide you love Victoria so much you want to move here! Save 50-75% on flights and hotels using special travel agent only rates! These are the secrets that travel agents don't want you to know about! Just using one of the secrets in this guide could help you save hundreds, even thousands, on your next trip or vacation. Respected travel agent reveals everything you need to know to plan your next vacation, keep you out of trouble and get you home safely. 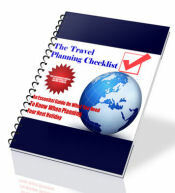 A must have guide when planning your next trip. Through a series of interviews with both amateur and professional travel experts (the smug people you see at the airports! ), I’ve compiled 'Packing Secrets' - The Ultimate Packing Guide For Travelers — It’s a 223-page guide, jam packed (like an overstuffed suitcase) with tips, tricks and ideas on how to avoid overstuffing your suitcase! If you want to be successful in your immigration project to Canada and get a better future, you must have a plan to face the many difficulties you will find. We help you with preparation, trip, settlement, integration, transportation, economic issues, job search & more. I've partnered with Amazon.com to bring you these books that are targeted specifically to Victoria and Vancouver. Just click on any book to learn more about it and to order it direct from Amazon.com, one of the premier online booksellers.